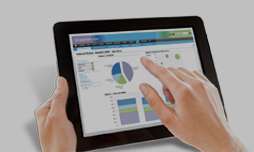 JBiz RETAIL has been built for Retailers looking to improve operational efficiencies. JBiz provides perpetual inventory and delivers 360 degree visibility across the business which enables a strong dynamic retail offering to the customer base. JBiz visibility is linked to rich functionality, with point-and-click workflows leading to dynamic, responsive, profitable retailing. JBiz RETAIL has exciting easy-to-use processes which optimise retail businesses. JBiz Retail has very powerful business intelligence functions “out of the box” and natural strengths in style/colour/size/fit. It’s well worth a good look to find out if it’s right for your business too. JBiz RETAIL has centralised data where all your retailing information resides. No more having many sources of info needing to be cobbled together in order to be effective. JBiz has had this fundamental approach and architecture from its inception. This approach is now being described as OMNICHANNEL retailing, and is now fundamental to your success in this connected world. Retail is at a reset moment thanks to the disruption that the Internet, mobile phones, and social media are all bringing to the shopping experience. It means the entire supply chain — retailers, suppliers, and third-party logistics providers (3PLs) — has to become more efficient, competitive, and knowledgeable to be able attract and keep customers. The OMNICHANNEL covers the experience shoppers have with retailers through two or more ways — online, in the store, customer service, and even shipping. People expect to have the same experience in a store as they do when shopping online. Yes, the JBiz Business Software suite has a centralised data repository where all relevant data resides. This data is made available for every different expression or channel of your business. Simply put, JBiz is how you make it happen. JBIZ RETAIL is cloud-based and provides all the tools a growing online retailer needs to succeed. JBIZ E-COMMERCE is best-suited for a growing businesses with between $2 – $200m in annual turnover. The E-Commerce technology market is in three distinct segments. Firstly, the small end of the market are those platforms that help small businesses get online easily. Once a business is established and growing, an online retailer must “replatform” (upgrade) to a system that can handle the customization, complexities and scale they require. The JBIZ eStore is right for those businesses who are experiencing high growth (or intend to) by offering an comprehensive e-commerce platform, without the price tag of enterprise software. We back this up with local support and knowledge. So as we said, It’s well worth a good look to find out if it’s right for your business too. The features and functionality list in JBiz RETAIL is comprehensive and workflows are based on clear point-and-click pathways to completion. It has been built for Retailers looking to improve operational efficiencies, improve visibility across the business, and to reduce administrative overhead while at the same time driving a strong dynamic retail offering to its customer base. Many retail businesses suffer to some degree from a lack of immediate visibility across the operational landscape which, if it were available, would enable significant efficiency gains and responsiveness. JBiz has been developed with exactly this in mind; visibility linked to functionality, leading to and enabling dynamic, responsive, profitable retailing. Seamless robust integration is a JBiz fundamental and easily integrates with most ERP’s and POS systems. Integration technologies used are common and uncomplicated. JBiz is able to continue operating fully even when companion systems fail. The JBiz Product Master is the central data repository for all relevant information to do with a product. It also has a rich text editor for enriching the marketing information and includes the ability for this enrichment to be used in all catalogues, promotions and web sites / eStores and all other internal and externally facing communications and views. The Product Master dashboard controls all aspects of products and their variants, seasonality, forecasts, size curves, pricing, style stories, related products, manufacturing, ranging, optimised stock levels at stores, promotions, catalogues, and more. The JBiz Stock Management page view has been designed to present all critical information about the Stock Item plus gives a “cockpit” style access to all relevant functionality. The page includes dynamically generated BI information enabling the retailer to make instant critical business decisions and to execute these decisions immediately without the need to go to a different area or system. The sample Stock Management page view displays Stock Levels by Store, Sales by Store, Total Sales, Pricing, Forward Cover, Average GP% and Purchase Orders. Also included are Transfers, Consolidation, Optimisation, Purchasing, Supply Chain and Stock Movement Tracking. The Stock Management page also provides workflows to the Product Master, Promotions, Transfer Cart and Consolidation Cart. through the inclusion of new sales transactions, inventory knowledge and by retail store feedback. The result is highly accurate forecasting and purchasing which goes a long way to avoiding over and under stock situations. Similarly JBiz does “Consumer Driven Demand Forecasting and Purchasing”. Simple to use, the buyer uses the purchasing function in the Stock Management page and have JBiz apply quantites across the sizes based on the percentage sales of each size over the number of weeks the retailer wants to keep stocking the item. This produces a purchase order based on the exact market demand for each size of the item. There are a number of ways to purchase within JBiz. Seasonal Purchasing is done pre-season and stocks and is used for items in which there is a long lead time on manufacturing and supply. It is performed using the standard forecasting/purchasing module and gets the bulk of the seasons range in place. Repeat Purchasing is for re-buying a hot selling fashion item or one which has a local supplier and short lead time. Quantities to be purchased can be optimised, consumer driven demand, or ad hoc manual purchases. Demand forecasts are updated with recent sales activity to accurately reflect the reality of the market. This updated information is used to “Optimise” stock for a given period. JBiz enables the retailer to set a time period (such as 20 weeks for example) to guarantee optimal stock levels in the business for that period of time. The quantities are calculated by size based on the sales to date of the item and projected out by the selected time period. Any existing Stock On Hand is deducted from the optimised quantity to be purchased giving completely accurate stock optimisation for the required period. This approach produces an optimisation result which is based on “Consumer Driven Demand”.